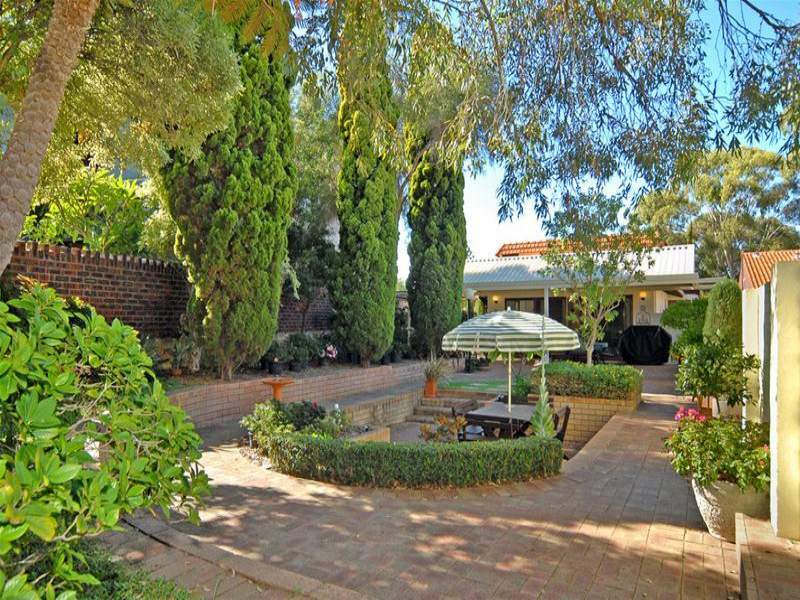 People passionate about garden designing take much more care of their garden than their house interiors. In fact, there are people who love to experiment with their garden designs and keep them changing with every season. 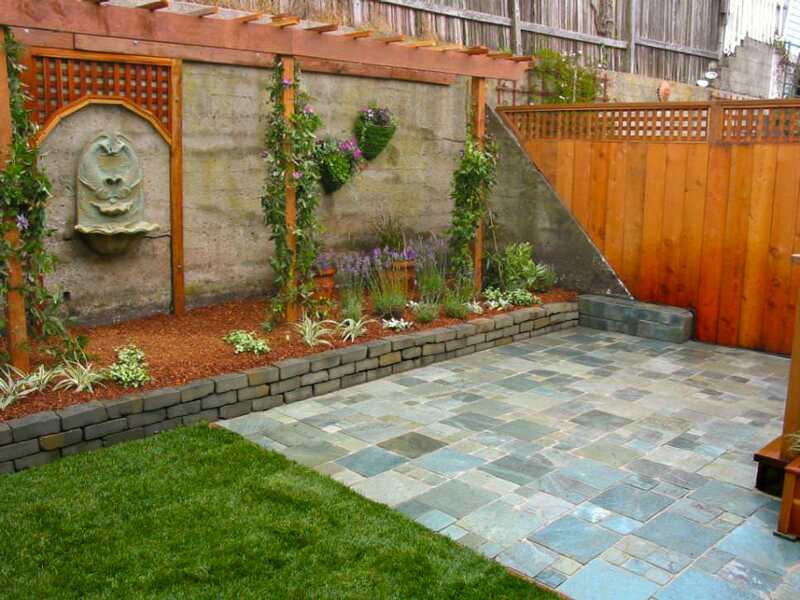 However, one garden design which has been around since time immemorial and has never lost its charm is the brick wall garden design. Bricks free of plaster and paint actually add a dash of rusticity to the whole look. How you decorate is totally up to you. If you are looking for some creative ideas to decorate the brick wall of your garden, here are some designs that may inspire you. Think of the cool winter mornings and evenings when you crave to be outdoors, and this fireplace brick wall garden design can be a boon. An open marble fireplace built into the brick wall will help you stay warm during winters. Give the fireplace a brick background and paint up the rest of the wall. 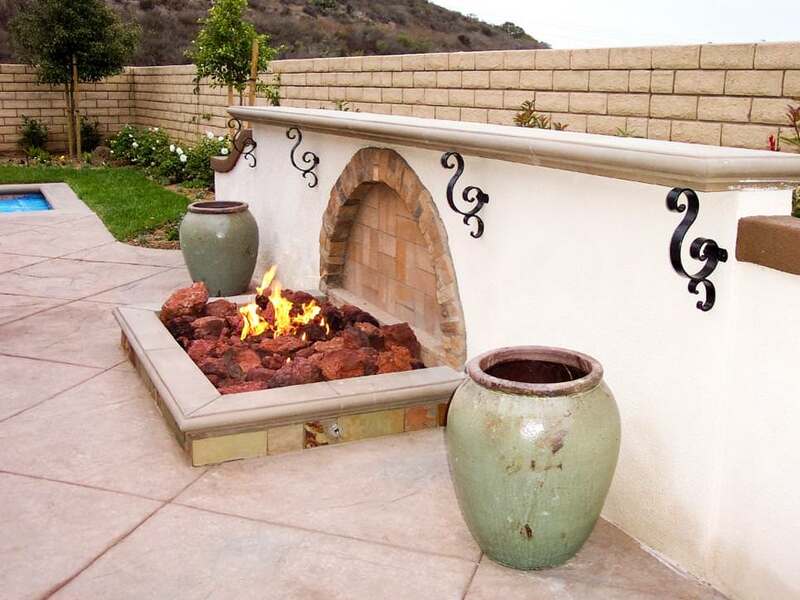 Two large earthen urns placed on either side of the fireplace will give the whole setting a rustic appeal. 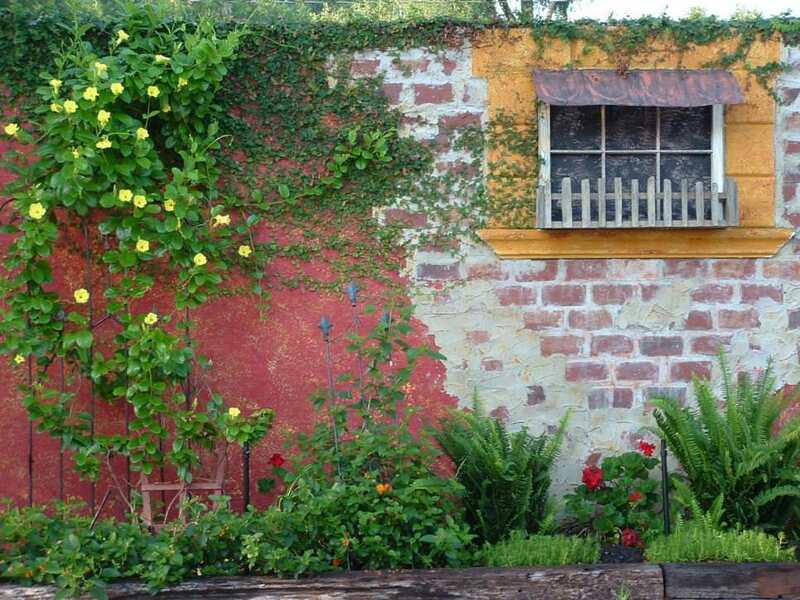 Paint half of your garden brick wall in brick red color and leave the other half as it is. Let the painting be crude to give out authentic Italian look. Add in some flowering climbers and a few shrubs to complete the look. If there is a window in the wall, paint it with a bright color and add in a flower box to the outer side of the window sill. If you are planning to decorate the brick wall in your backyard, what better way to do it than add some wooden fixtures to the bare wall? It would be a good idea to plant some beautiful shrubs and plants near it. 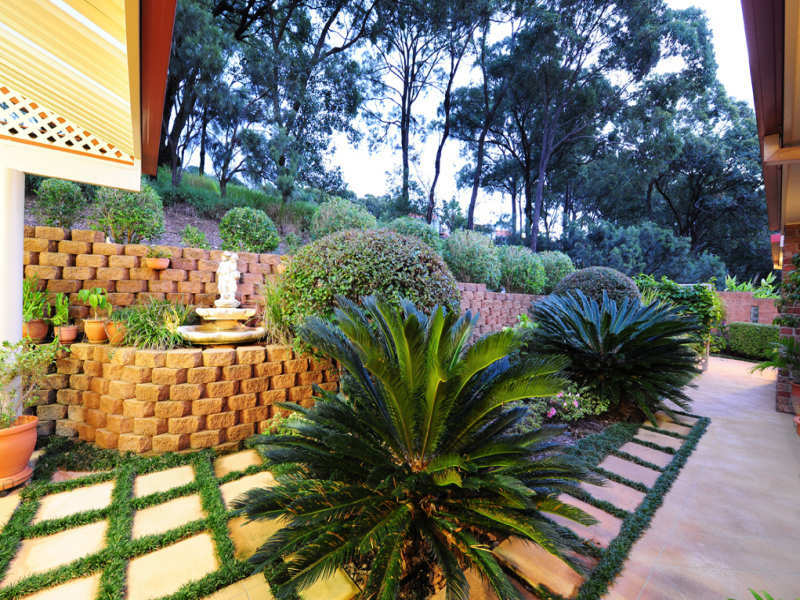 Transform the landscape of your backyard by dividing it into two parts, one being the grassy area and the other a tiled one. 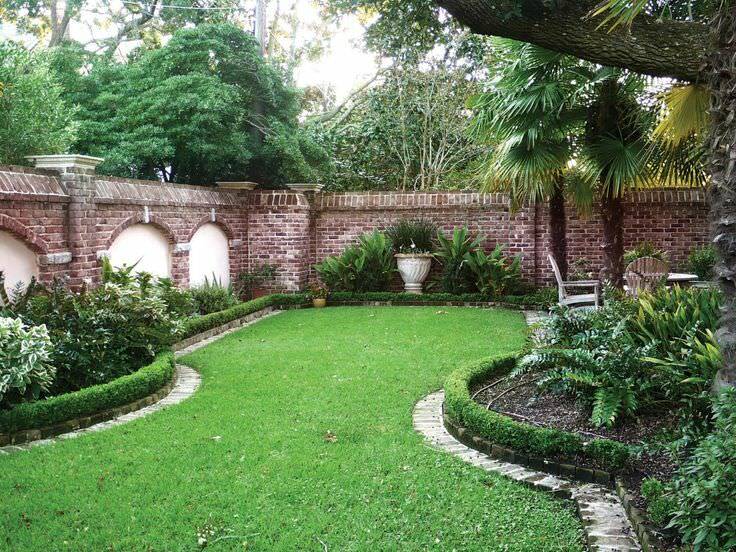 If your house is totally done up in an ethnic European style, make sure that your garden wall looks similar. 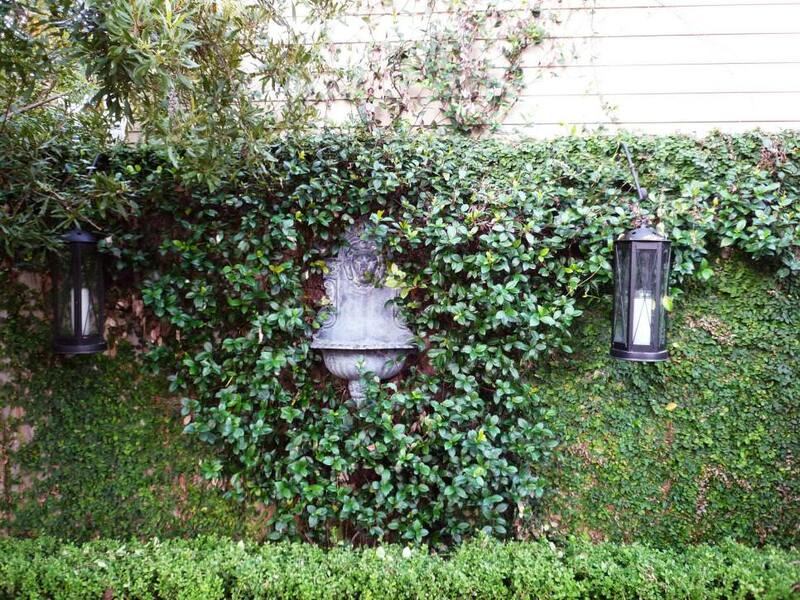 For this, cover up half of the brick wall with hedges and climbers. Throw in some European style flower pots and light fixtures to complete the whole look. Bring in a dash of color by planting rows of flowering shrubs across the length of the brick wall. 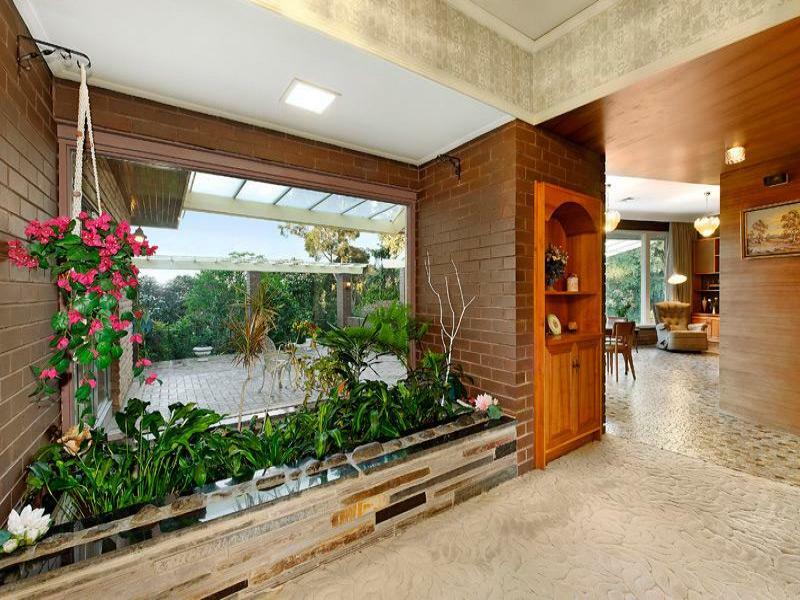 In case your garden has two brick walls facing each other, you can actually convert this area into an attractive tropical zone. 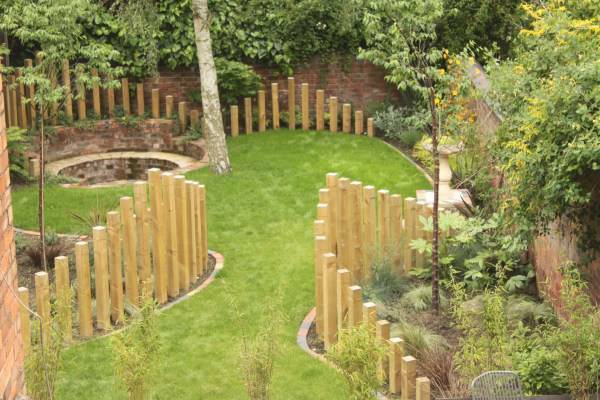 Design a flower bed which runs across the length and width of the area between the two walls. Use this to plant various tropical plants. You can include granite siding to add in a seating area. 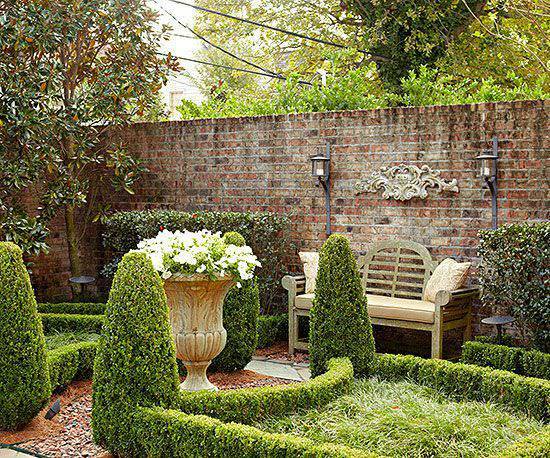 If you love lounging around in your garden on a beautiful day, create a perfect seating space along the brick wall. Place an elegant couch and some cozy cushions to it. Plant shrubs along the rest of the length of the wall. Don’t forget to add some light fixtures above the seating area. This corner comes handy when you feel like curling up with a book. 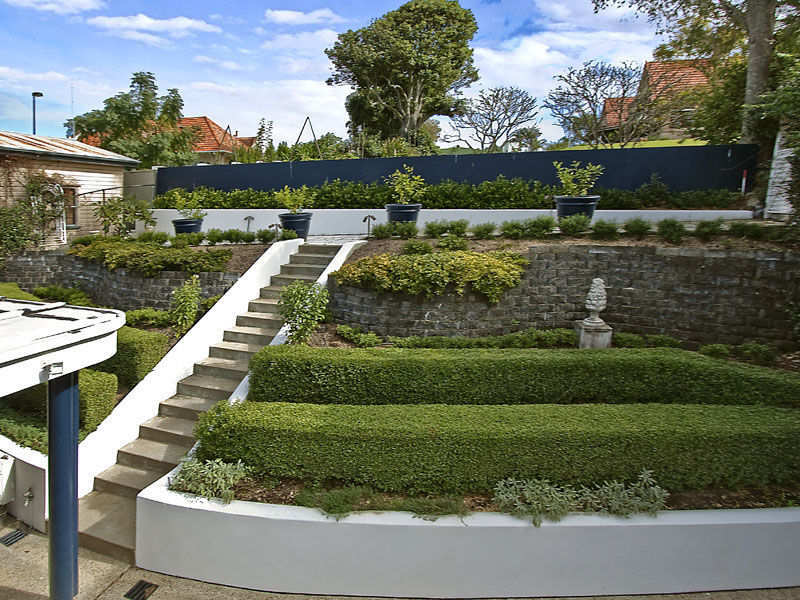 Landscape the rest of the garden with elegant topiaries and flowering plants to give it a sensuous appeal. 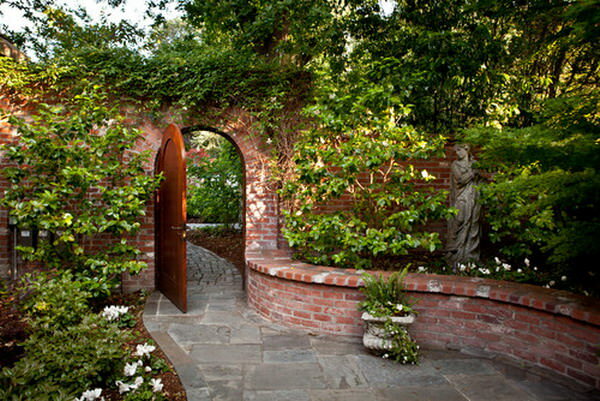 There are a number of ways in which you can design a brick wall. If you are looking for privacy, then build high brick walls. 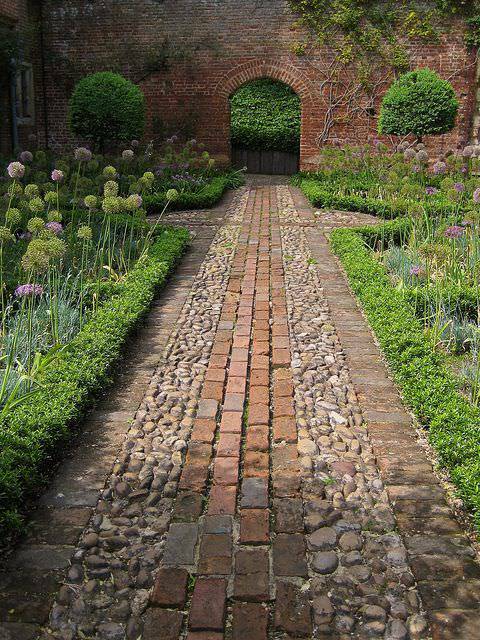 Add in more rusticity by designing elegant pathways and flowerbeds using bricks. 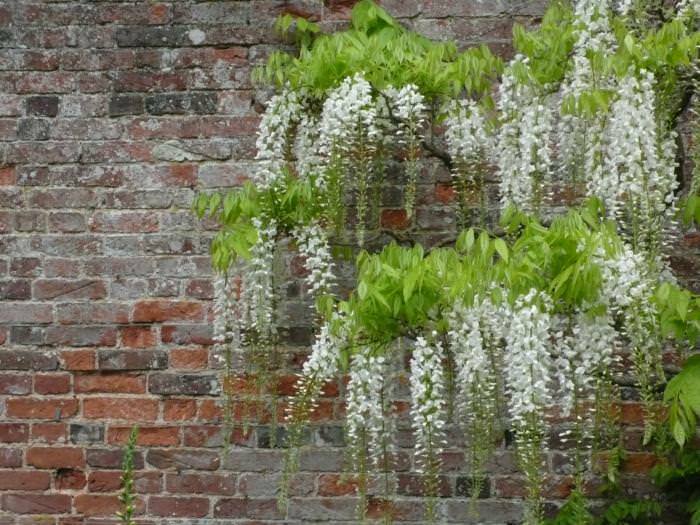 Covering up the brick walls with climbers can make them more attractive. Classic lamp shades or antique flower pots are also a great way to enhance the look of a garden brick wall.